It's CASE time again at Flourishes. While I didn't have all of the cool things Ally used in her card, I improvised with those that I had. 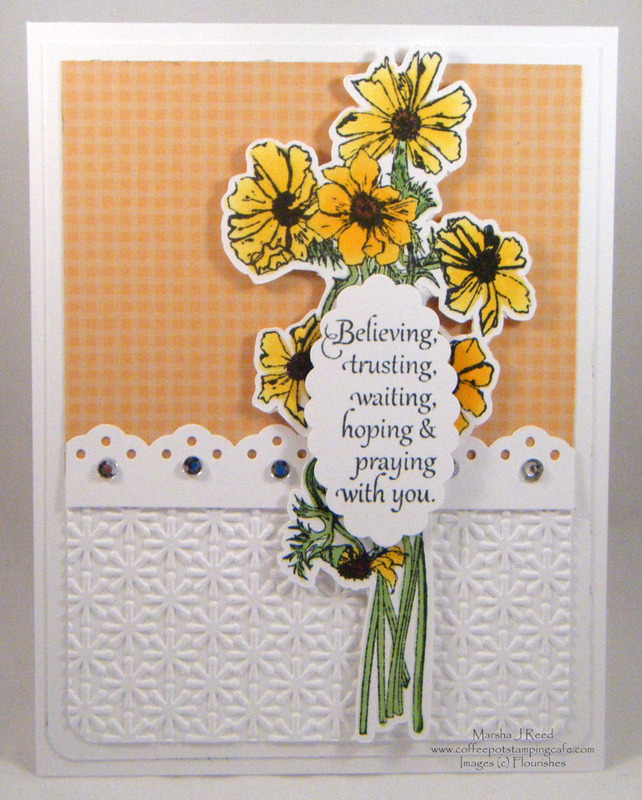 The colors and basic layout are all from Ally's project but I did change the orientation of the card since I used the Anemones stamp set and it is a tall one. 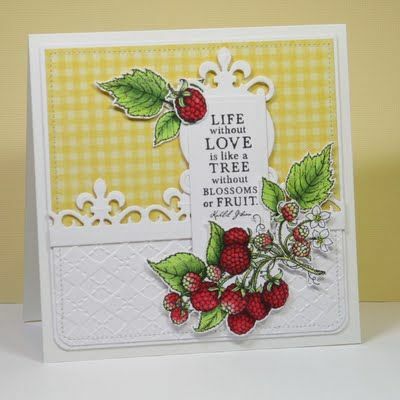 To see more of her beautiful designs, click HERE and head over to the Flourishes blog. Now here is Ally's card that was my inspiration. I love her strawberries. Now I'm off to finish up some more challenge projects. I love participating in challenges as they keep me creating and provide such wonderful inspiration. I love how you improvised on this design Marsha! Lovely creation with the anemones! Thanks so much for playing along with us! Wowsers Marsha! I am in awe of your card. What a fabulous CASEd creation. Thanks for joining us at Flourishes!